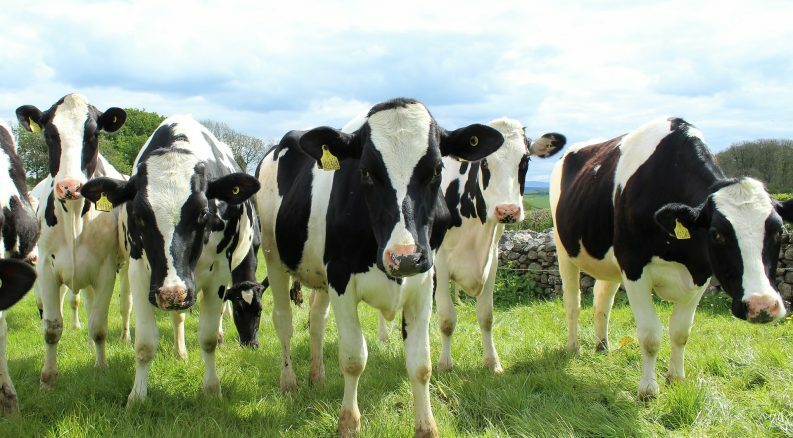 Greenhouse gas and ammonia emissions from the agricultural sector are increasing on irish farms as they expand in size, a new Teagasc report reveals. The report from the agri-research body released today outlines the economic, environmental and social sustainability across 90,000 farms in Ireland based on 2017 data. While farm level emissions efficiency is “improving” leading to fewer carbon and ammonia emissions per unit, the report shows that emissions are increasing over time on farms that are growing in size. Agriculture is the largest contributor to Irish greenhouse gas emissions, with 33 per cent of the national emissions total in 2017. The report finds that it will be very difficult to reduce aggregate emissions while also increasing food production, particularly in the dairy sector. Ammonia emissions within agriculture come mainly from animal waste and the spreading of synthetic fertilisers and accounts for close to 99 per cent of Ireland’s total emissions. 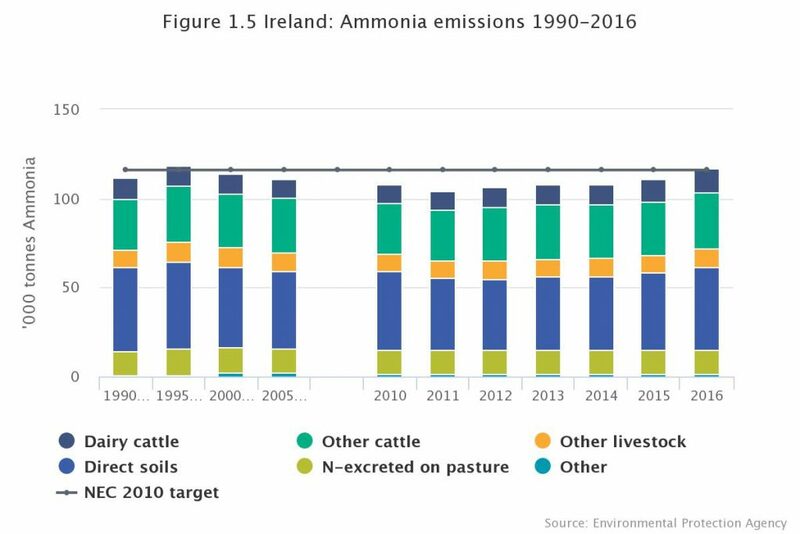 Ireland’s ammonia emissions have increased since 2011 and were 0.6 per cent above the 2010 National Emissions Ceiling of 116,000 tonnes in 2016. According to the Environmental Protection Agency, the watchdog’s projections indicated that this was likely to occur “for some time” as animal numbers continued to rise. Ammonia emissions were also “significantly higher” on dairy farms, Teagasc said, emitting over 2.8 tonnes in 2017 compared to levels well under one tonne for the average cattle, sheep and tillage farm. Due to the more intensive nature of dairy systems compared to all other grassland systems, the report states that GHG emissions are also significantly higher than other sectors. The average dairy farm emitted 502.5 tonnes of GHG emissions in 2017 compared to figures well under 150 tonnes for the average cattle, sheep and tillage farm. “Dairy emissions are a function of greater stocking rates, more energy intensive diets for dairy cows and more use of chemical fertilisers than the other livestock systems,” the report states. Emissions per euro of output are lower for dairy, however, the report states. 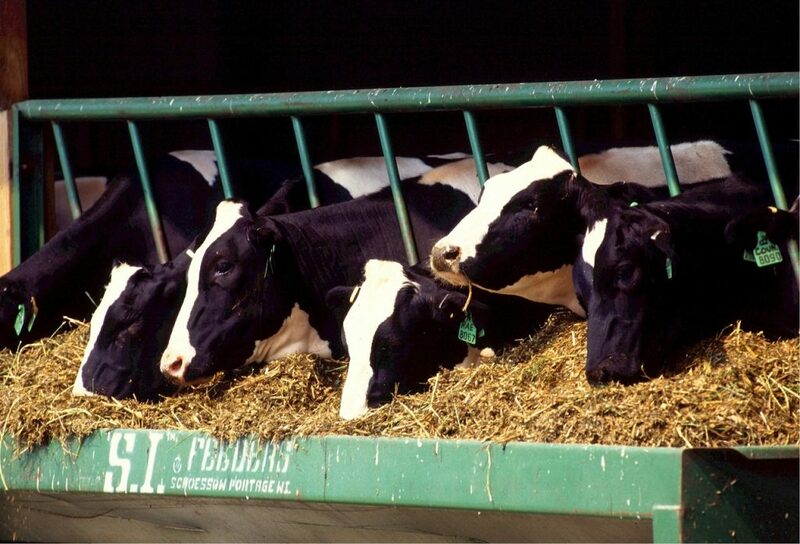 The emissions ratings are not based on a life-cycle assessment (LCA) that would include embedded emissions up to the point where milk is sold from the farm such as purchased feed. Results of an LCA analysis at Teagasc’s Moorepark facility in Co Cork indicates that the carbon footprint of Irish milk production has declined between 2015 and 2017, the report states. The Teagasc report also highlights a significant income gap between dairy and other farm types in Ireland. The gap is rising due to the growth in Irish milk production in recent years, the report states. Overall, 85% of dairy farms were found to be economically viable, with an average income of €68,646. In comparison, only 25 per cent of cattle farms were defined as economically viable. The average cattle farm income was just under €17,000, although this was “skewed” by the top third of farms that have a large number of higher earners. Teagasc also found that almost 40 per cent of cattle farms were socially vulnerable, largely due to low incomes and an aging cohort working in the area. The average income for sheep farmers was €17,043, with similar vulnerabilities as cattle farmers. Tillage farmers fair better, the report state, with an average income above €44,000. The report did not examine the horticultural sector. The report highlights a positive link between economic profitability and emissions efficiency, with the highest levels of efficiency found on the most profitable farms. “This suggests that improvement in economic sustainability can be achieved side by side with improvements in emissions efficiency,” the report states.